Have you determined who your active parties are? From a risk standpoint, there are some vendors that you should be managing more actively than others. 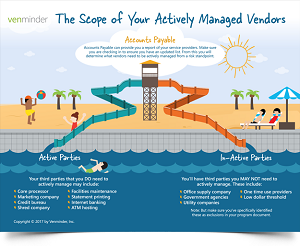 In our newest infographic where we dive into the scope of your actively managed vendors.